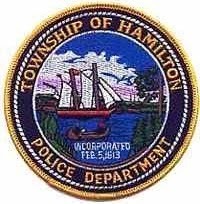 On December 5, 2013 at 3:02 p.m., members of the Township of Hamilton Police Department responded to County Road (CR) 552 and Harley Avenue for a report of a single car motor vehicle crash. The driver, identified as Maria Spear of Mays Landing, was traveling east on CR 552 and fell asleep, causing her vehicle to leave the roadway, strike several trees and a utility pole. The vehicle then caught fire and Maria was trapped inside. Several good samaritans as well as a member of the Township of Hamilton Rescue Squad stopped and assisted with extracting Spear from the vehicle and controlling the fire. Spear was transported to ARMC City Division with multiple injuries. Traffic was delayed for approximately one hour due to the crash. Assisting at the scene were the Township of Hamilton Rescue Squad and Mizpah Fire Department. Crash being investigated by Officer C. McCarthy.